Pope Francis, whose criticisms of unbridled capitalism have caused many to brand him a Marxist, said in an interview published Sunday that communists “stole” Christian ideals. The 77-year-old pontiff was asked during his interview with local Il Messaggero newspaper about a blog in the Economist magazine by a journalist who said the Pope sounded a lot like a Leninist because he often criticized capitalism and called for reform of the global economic system. “I can only say that the communists have stolen our flag. The flag of the poor is Christian. 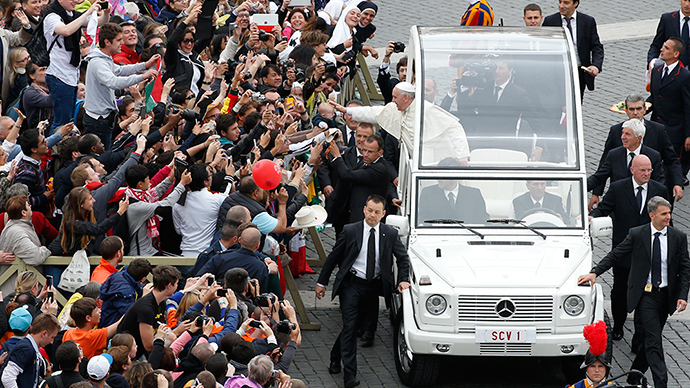 Poverty is at the center of the Gospel,” said the Pope. He was referring to passages in the Bible which state the need to help the poor. 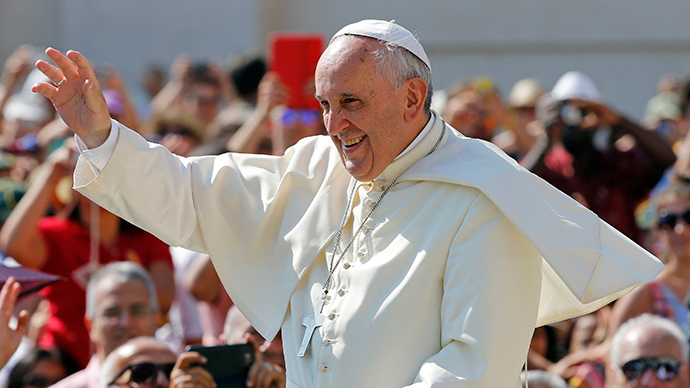 Pope Francis has often called for people to share their wealth with the poor. “Communists say that all this is communism. Sure, twenty centuries later. So when they speak, one can say to them: ‘but then you are Christian,'” he said laughing. The Pope also said that global politics is mired in corruption and bribery, adding that there is a deficiency in social work in society. 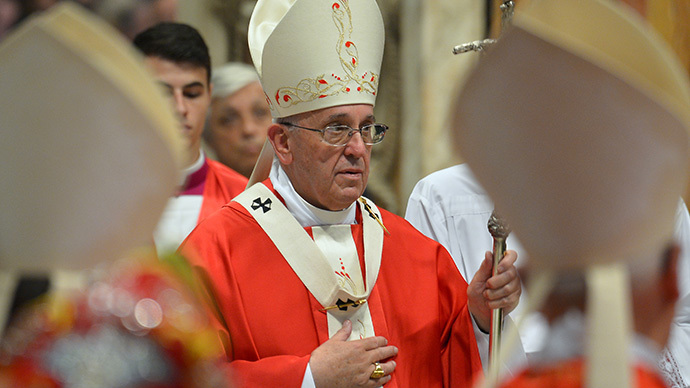 In regards to religious doctrine, the Pope said that the gospel cannot be understood without understanding poverty, and to be poor before God means poverty of the spirit. 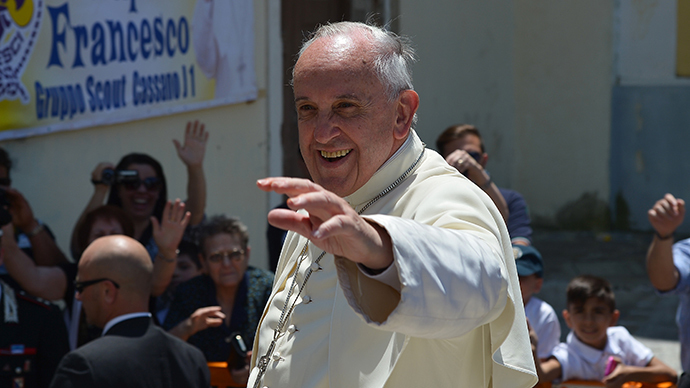 Earlier this month, Pope Francis said that wealth from financial speculation and speculation on commodities was scandalous and compromised the poor’s access to food.